Whether you need summer or winter tires, the Volvo de Québec tire centre is here for you. From shopping for new tires in summer or winter to installation and storage, the Volvo de Québec tire centre has everything you need. As you know, your tires are the most important part of your vehicle. They are the only point of contact between your Volvo and the road, so your tires play a key role in the handling, safety and comfort of your vehicle. 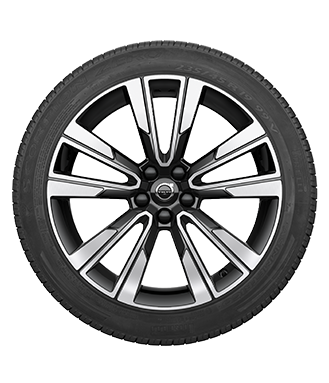 Equipping your Volvo with quality tires is therefore a necessity. When you come to the Volvo de Québec tire centre, you can be confident that we will have the best tires for your needs and your vehicle. Whether you have a sedan, a wagon or a sport utility vehicle, we have the tires that will suit your vehicle best among the biggest brands like Michelin, Goodyear, Nokian, Bridgestone, BF Goodrich, Pirelli, and more. Visit the Volvo de Québec tire centre today and let us help you find the right tires for your budget and lifestyle. We also offer storage service and tire installation. Our experts will take the time to understand your needs and especially your lifestyle. They can then give you more information on the right tires for you. Every tire we have in stock at Volvo de Québec have been approved by Volvo and will be able to extract maximum comfort from your car while preserving and improving its performance. In addition, our special offers make it more affordable than you think to buy your summer or winter tires from Volvo de Québec.